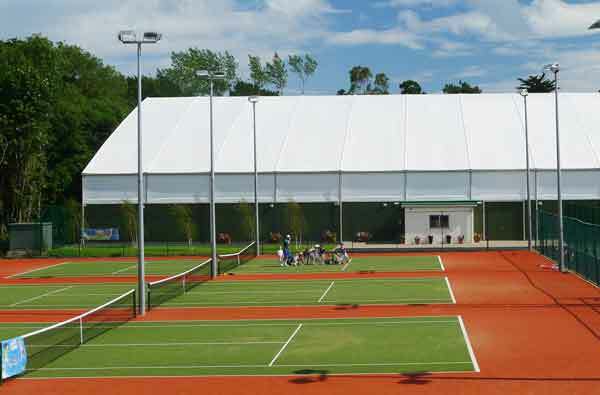 Delighted to have played our part in helping Shankill Tennis Club & Dun Laoghaire Rathdown County Council (DLRCC) on the creation of a world class Indoor Tennis facility. The purpose built steel framed structure adapts Veldeman’s modular format, incorporating a translucent polyurethane tensioned roof fabric and advanced LED lighting technology. The GREENSET cushioned acrylic playing surface provides optimum conditions for high quality tennis with the club playing host to the 'Blind Tennis World Championships 2018'.